Infinity Baby is another fantastic project premiering at SXSW that MPS is proud to have worked on. Starring Nick Offerman and Megan Mullally, Infin ity Baby is the futuristic story about babies who don’t age. Austrian Director of Photography, and long-time friend, Matthias Grunsky, BVK, gave us his take on what it was like to shoot this film right here in Austin! 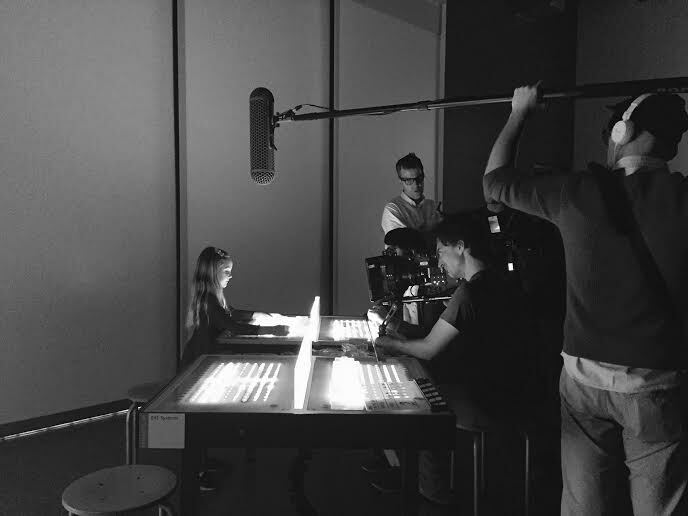 One of only a handful in the world, Matthias chose the ARRI ALEXA B+W for Infinity Baby. This special breed of camera combines all the features of an ALEXA XT Plus – including in-camera ARRIRAW recording up to 120fps, 4:3 sensor, and LDS system. The camera has a modified ALEV III ALEXA sensor, which creates high contrast rich monochromatic images with increased spatial resolution and around 15 stops of dynamic range. MPS was thrilled to work with Matthias again. On this project, we provided the lighting necessary to capture the futuristic look and feel to the screen. Among these lights: the ARRI M18, LitePanels 1’x1′, and 4′ x 4 Bank Kino Flo. The ARRI M18 is set apart by its open-face, lensless fixture that combines the characteristics of a PAR and a Fresnel. This combination creates a quality of light that produces a crisp shadow. Matthias and director Bob Byington had a very specific vision for this film which required very specific equipment. Matthias explains, “MPS Camera and Lighting Austin supplied our grip and electric equipment and the only existing B+W ALEXA in the US came from ARRI Rental Atlanta. Because of the low budget and short schedule of just 12 shooting days, I had to work with the least possible complexity on set. The base sensitivity of 2000 ASA, in which the B+W ALEXA also delivered me the healthiest exposure during my tests, was very helpful with that. We lit the movie with just one ARRI M18, 2 LED panels and a 4bank Kino Flo. On many locations I did not use any of our lights at all, just setting up some negative fill or bounce. In a lot of shots I had the camera on the slider for very subtle, mostly sideways moves.